Richard's first day IC and all went well - he counted them out out and counted them all back in. 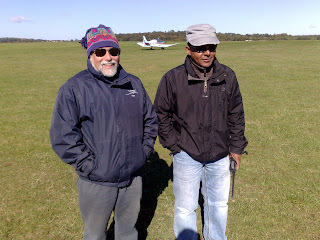 Not an easy day with strong winds and lowish cloud base but everyone who wanted to fly did. Ever optimistic Jon Gatfield was rigged and eager to be off to the ridge before he had to mend the shed roof at home. Towing out with a cloud base of only 1,500' he was then not content to stay on the ridge where he was able to maintain 800'. 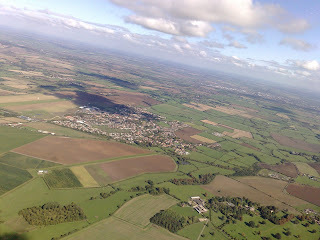 A sudden improvement in the conditions (to 900') was enough for Jon to make the jump to Halton. Clearly he is missing MiniGat who went off to Uni last week to cause him to behave this way. Jon was joined on the ridge by Oli Llewelyn in C30 but the deteriorating conditions and occasional showers was enough for Jon to realise that a return to Booker after 2.5 hours was prudent. Not our Oli though - he carried on surviving showers and lowering cloud base until he eventually was advised to land at Moor Court Farm when it became obvious that a return to Booker from the ridge was not on. The London Parachute Club at Moor Court Farm were very accommodating and helpful allowing an interesting aerotow home to occur. Another great day at Booker - September has been full of soaring surprises!! The overnight forecast was promising - low overnight temperature, dry and a forecast max of 16-17C. Quite surprised therefore to arrive in the trailer park at 9:30, with the club kit out already at the launch point, and no sign of anybody rigging. Maybe they'd all relied on RASP which suggested overdevelopment and thermals dying off by early afternoon? We were towed out to the ridge having discussed options.....Cumulus clouds were building, possibility of streeting, ridge field looked usable as a bolt hole, Lewknor was active so we would need to keep clear of there. Several fields near the ridge looked like good options for field landings too, so we felt confident as we came off tow at 2,000' and gently started to descend towards where it was likely the ridge was working. A few thermal bubbles were felt as we ran along the ridge heading North towards Chinnor and finally felt some consistent lift being kicked off the ridge at about 1,400' (Booker QFE). A few beats up/down the ridge between 1,200'-1,400' allowed us to gain a feel for the lift off the ridge and also use the local steam train as a picturesque wind direction indicator as it chugged along. Now being sure that the ridge was working we headed off into wind to see how far we could run a cloud street without turning. Thame Airfield was the answer, whereupon the thermals died off and the altimeter began to wind down as we watched the local gliding club winch launching and tried to keep out of their way. Quite a bit of time was spent working weak lift between 800'-1,600' and it became obvious that the cloud upwind was continuing to decay, suggesting that any further progress into wind would be increasingly risky. Eventually a thermal allowed us to hop back onto the ridge, do a few more beats up & down the ridge, catch a good thermal and head back to base for a well deserved cuppa. Great fun. Surprised that nobody else was out playing. We wave farewell to the Booker evening groups for another season, and look forward to their return next year. Many thanks to all those involved. The Funeral service is in the Cemetery Chapel at 11.30, so people should arrive by 11.20. 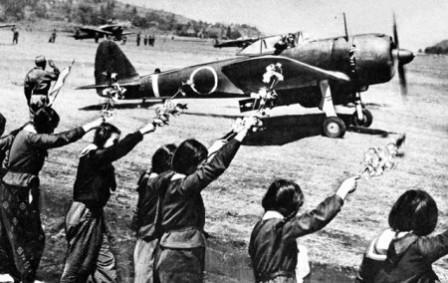 Followed by a reception at 1.00. Funeral Directors can be contacted for any further information on 020 8550 4047. H.L. Hawes (http://www.hlhawes.co.uk/). 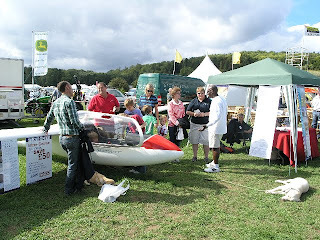 Today the Booker Marketing team was at the Henley County Show with a glider and our usual display materials. After a damp start the sun shone and we had plenty of visitors, including the farmers who own the land adjacent to the airfield who were very pleased that we had come to an agricultural show so that they could meet the people who flew over the heads and occasionally landed in their fields. We also met a number of our neighbours who were very supportive of the continued existence of the airfield and equally opposed to the idea of a football stadium in its place. We sold a couple of courses and got a lot of positive feedback which we hope will translate into future sales. Many thanks to David Humphreys for help in setting up, and to Richard Clark, Oli Llewellyn and Simon McCracken for turning out to work on the stand, and special thanks to Simon's wife Marnie, who doesn't fly but spent the afternoon working on the stand for us. And of course thanks to Chris Collett for booking it all, setting it up and working all day today. Many of you have expressed a wish to pay your final respects to Martin Foulkes. We have been waiting to hear details of the funeral arrangements. Martin’s family have set a date which will be Saturday 2nd October. We do not yet know the venue or time. The family have asked for an indication of numbers likely to attend. A list has been posted on the club house notice board to which we would ask you to add your name if you are planning to attend. That’s all the detail we have at the moment. As soon as we hear more we will post further details on the blog. 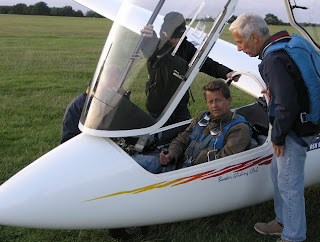 This morning's BBC1 TV Breakfast Show gave the nation a glimpse of the fun and challenge of aerobatics in gliders. The result of the shoot last week with sports reporter Mike Bushell and our show biz stars Graham, Will and Siena was a 3 minute clip which was repeated 4 times thoughout the programme, giving plenty of prominence to Booker and its location. Here is Mike firmly grasping the 'steering stick'. For me, Tuesday was one of those fantastic classic gliding days that reminded me what it is all about. All those that worked please look away now. Woke to clear blue skies and condensation on the house windows with car already packed with gliding kit. Managed to get the day off work at short notice and then to the airfield in time to launch before midday with a nice simple 300k declared, just two turnpoints in the logger AND HUS, Mr Turner's favorite. Straight off tow in start area with 4 kt climb and on task after a few turns. Followed J1M past Henley pulling in the first four climbs then reminded myself that I was in an LS4 and easily scared, so took a climb and then went in the correct direction for my task! Slight bewilderment en route to Bicester when I noticed that my shadow on the ground looked like that of a C130, then the realisation that there was a c130 about 500 feet underneath me on the same track on downwind leg for Weston, even more bemused to see it turn base then finals and pass underneath me again - closer - as I continued to BIC. Memorable run of strong climbs at Bicester, Stowe and Northampton. The joy of rolling into a thermal with 6 knots on the vario and rising, only for the raised wing to be hit by an event stronger gust, oooh this'll be fun, real thermals. Felt great after landing until Ed Garner landed 10 minutes later having done the same task an hour faster (also in an LS4). 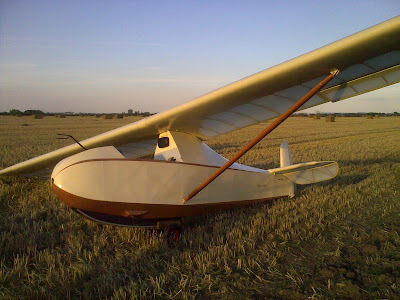 Then off with Ed for a simple retrieve of Nick Newton's beautiful (well some of us think it is) Hutter vintage gliderette (empty wt 230 lbs, Va 55 Kts, Vne 70Kts) from a stubble field at Tetsworth, he flew it to BIC and almost back. 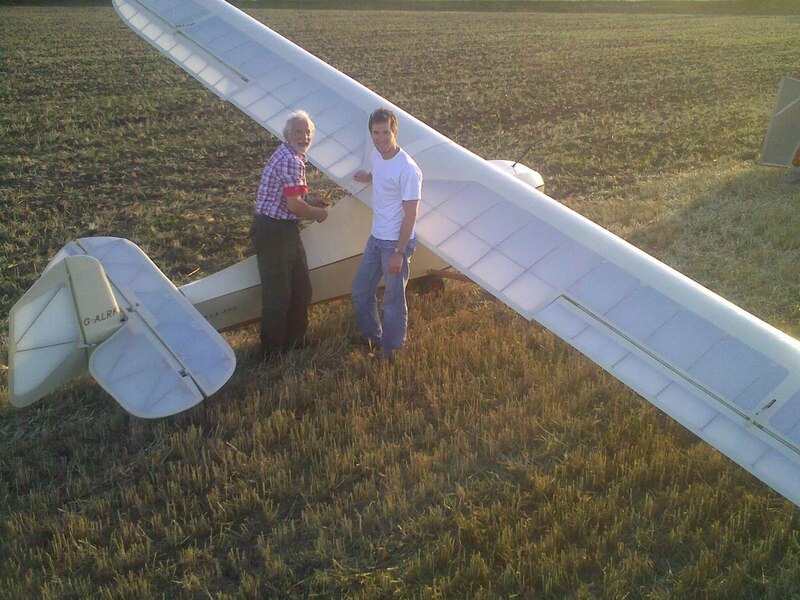 De-rigging a wooden glider in a stubble field at sunset and talking about epic flights. It almost felt like August. Young, middle aged and vintage!